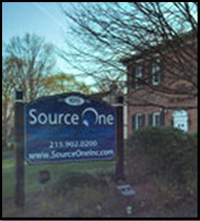 In the first two months of my internship at Source One, I have already conducted research to assist our team in prepping for several kick-off meetings with a variety of new and potential clients. For those of us who don’t know what a kick-off meeting is, it’s an initial meeting between members of the Source One team and stakeholders from the client’s organization. It’s a time for all initial questions to be asked and answered, expectations and projects to be identified, and among many others, it’s a time for business relationships to be established. From preparing for it, to actually being in the meeting itself, up until the aftermath of it all, there are a lot similarities between these kick-off meetings and first dates. Below, I evaluated the before, during and after stages for both and realized that creating business relationships and personal relationships aren’t so different after all. Kick-Off Meeting: For any meeting, it’s important to have done your homework and come prepared to listen, take good notes, and be ready to present your information. The key, is to make absolutely certain that you and your team are ready to impress the client with the research you’ve done on them, to demonstrate how much you already know about their organization. Researching anything and everything about the spend category and business unit from who they are, what they do, and how they operate to any current events or fun facts you can find. When researching before a kick-off meeting, it’s a good idea to become an expert on the unit’s existing processes, current suppliers, mission statements, and any other information that could be used as talking points that leverage your statement as to why you and your company are going to be a great fit for them. First Date: Before a first date, you are essentially researching similar topics that you would for a kick-off meeting. You want to impress this person by coming to the date prepared with topics for conversation about their interests, work, and other ways to engage them. Whether you already knew this person or met them online, researching everything you can (without reaching a creepy level, of course) about ways to engage and connect with your date will heighten your chances of going on a second date. Ultimately, this is an opportunity to enhance your relationship with this person, like you do with the business during a kick-off meeting. Kick-Off Meeting: This is it, the moment you and your team have been waiting for! The kick-off meeting is finally here and it’s your chance to make the stakeholders fully satisfied with their decision to pursue you over the other fish in the sourcing sea. During the kick-off, aside from making sure you are fully prepared, you want to make sure you are dressed to impress. 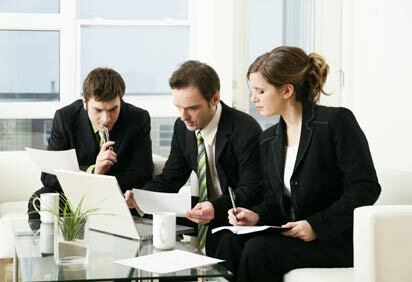 Additionally, now is the time to present yourself and your company in an honest, yet solid manner. Just like a date, make sure your presentation (personal, and PowerPoint) is professional, visually appealing, and engaging. Anticipate the questions and comments of the stakeholders, and be able to give clear and concise answers, hopefully before the stakeholders even need to ask them! Remember all of that research you did on this company? Use it to your advantage during the meeting by relating yourself, your team, and your company to the client. Wow the stakeholders with your knowledge on their sourcing and buying strategies. The more connections you can make between your offering and their organization’s needs, the more information you might uncover that can help the relationship develop. First Date: Again, dress to impress. The other person’s first impression of you has a lot to do with what you wear on a first date just like it does for a business meeting. In either setting, it may be tempting to stretch the truth to make you or your company sound more appealing, however it’s crucial to be true to who you are without overwhelming your stakeholders or boring your date., You can use the research you conducted earlier during the date to bring up common interests and other talking points to steer the conversation in addition to learning more about this person, you may even be able to test the waters and touch on deeper topics of conversation like life goals and aspirations. Though you most likely won’t have a PowerPoint presentation to share with your date like you would in a kick-off meeting, it’s still important to be interactive, and share things about yourself that would be good for the other person to know. This may make them more comfortable in sharing more information about themselves. First Date: When leaving a first date, your head might be flooding with questions and constant evaluations of the time you spent on the date. Regardless of what positive or negative thoughts might be taking over your mind, evaluating your time is something everyone does after a first date. What was the chemistry between us like? Did we connect? How much do we have in common? Do I see myself with this person in the future? For any evaluation, it’s important to weigh the pros and cons against our own values and beliefs. If you enjoyed your night, contact them and pursue the relationship. If you had any sort of bad feeling, thank the person for their time, but politely go your separate ways. From a business standpoint, the initial meeting with a new or prospective client is going to set the tone for your business relationship, as first impressions are highly memorable. As for first dates, this is the opportunity to feel out the chemistry and identify how or where the relationship is going to go. In either case, both scenarios are crucial in creating a valuable relationship with others who you could end up spending a lot more time with in the future.